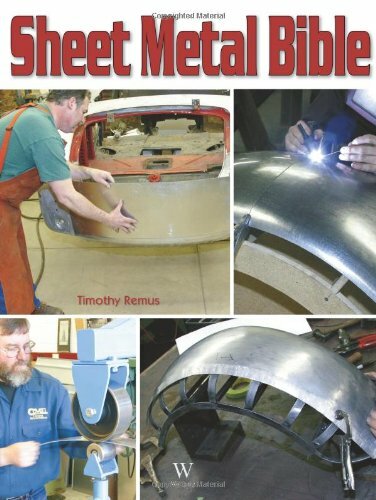 Sheet Metal Bible is a compilation of sheet metal fabrication projects, everything from simple shaping operations to multi-piece creations like fenders and motorcycle gas tanks. Each of these operations is photographed in detail. Meaty captions help the reader to understand what’s really happening as a flat sheet of steel or aluminum slowly morphs into a hot rod or motorcycle part.